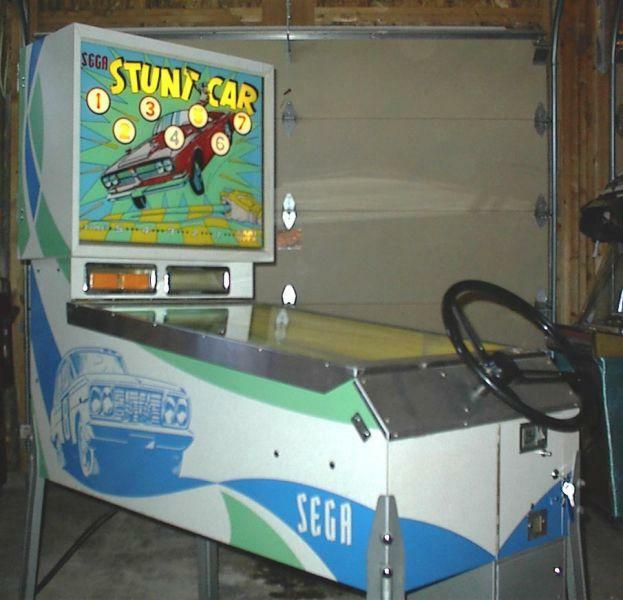 Description: Stunt Car, Sega, 8/70. 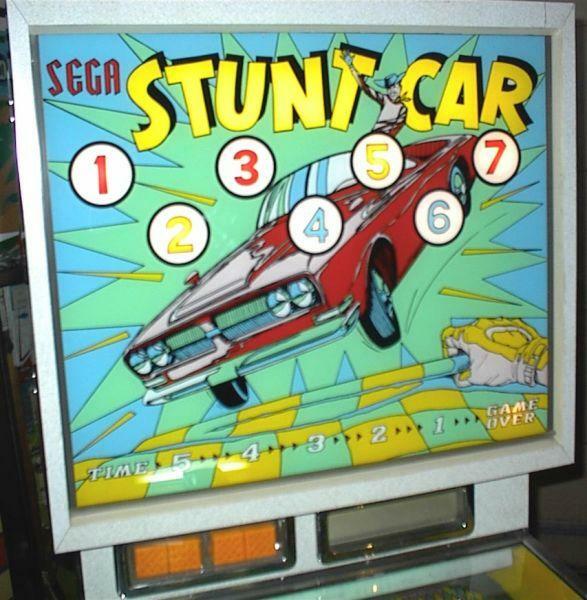 As the game is started, two balls (not pinballs, probably plastic) drop onto the playfield from the top. 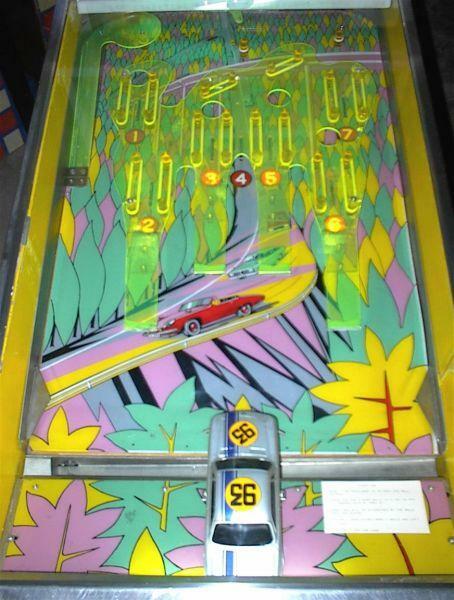 As the balls come down the playfield, trying to get them to drop in one of the seven playfield holes (the idea is to complete all seven holes in a given amount of time). 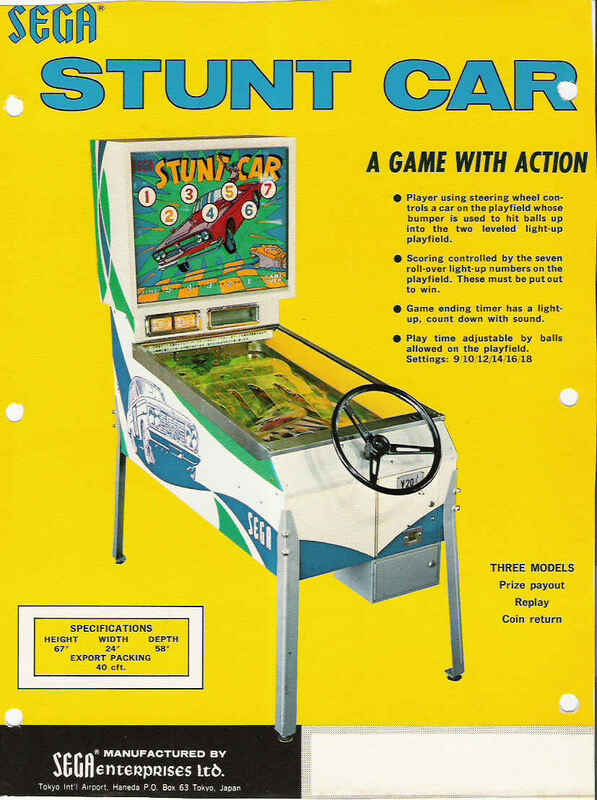 The player steers the car back and forth (left and right) across the front of the playfield with the steering wheel, trying to hit the ball(s) with the front bumper of the car. 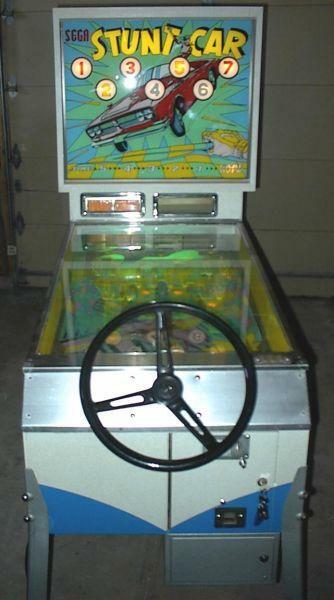 The car's bumper acts as an automatic flipper to push the ball back up the playfield. 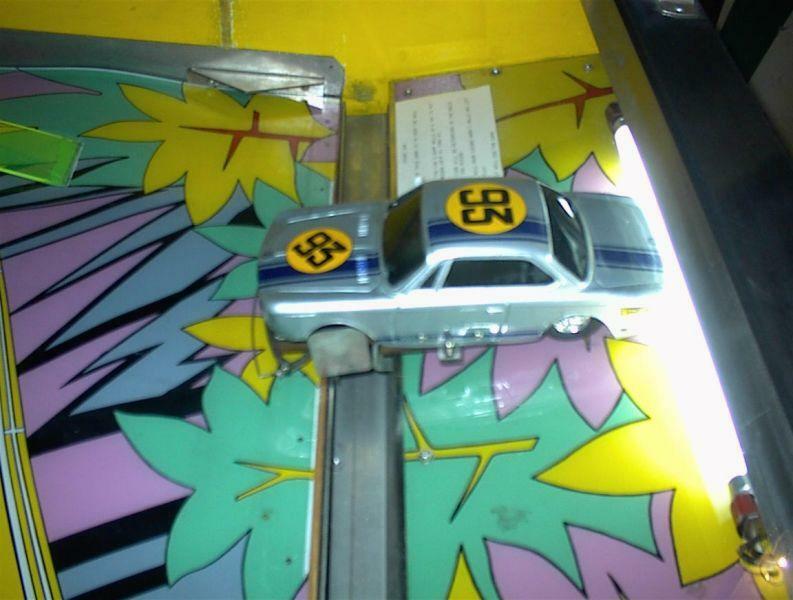 As a ball enters a numbered hole, this number lights on the backglass, and the ball is recycled back to the top of the playfield where it comes down again (given there is time remaining in the game). Time left in the game is shown by lights on the backglass. If all seven holes are completed in the given time, the game dispenses a small packet of crackers (or whatever treat is loaded in the game). 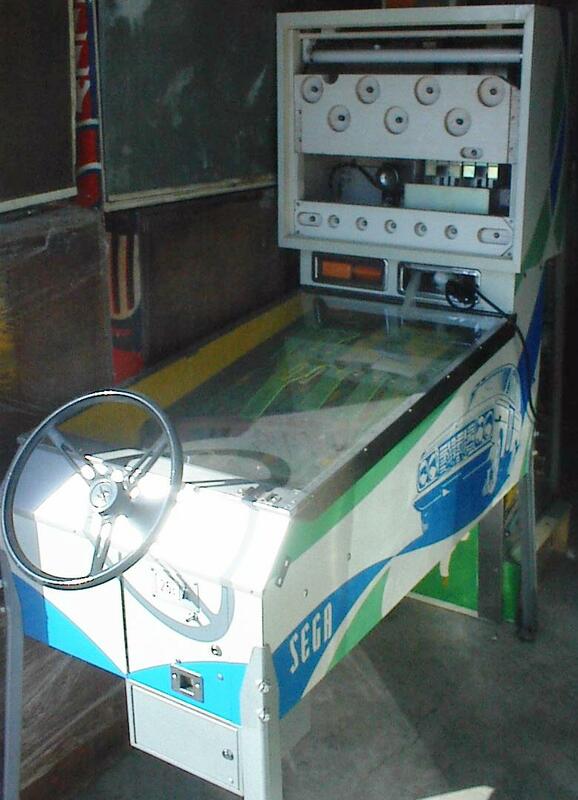 Just below the backglass and above the playfield is the area where the crackers are held. 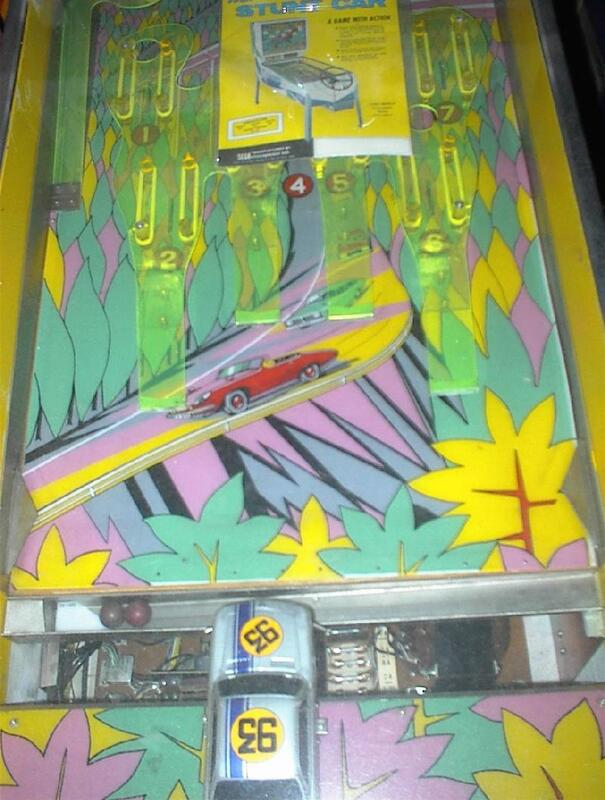 The cabinet is formica with great car graphics.